We get asked this question A LOT! Which is fair, as it’s an Aussie dream for many people and so it should be. It's amazing!! We saved every penny for a lot of years and funded ourselves for an adventure, with no end date!! Travelling OZ has been on our bucket list for many years and something we have always worked towards. We are savers! And good at it. Justin was working in the mining game for 10 years, earning great money. And me (Bec), in Nursing and Pathology. Justin was the clear bread winner! We put away as much money as we could each pay week and Justin worked loads of overtime. We paid our mortgage repayments, groceries among other bills and transferred the rest into another account. I have been a Stay At Home Mum since #1 was born as Justin was working long hours and as often as he could. This is what worked for our family, although not ideal, we knew the end goal. TRAVELLING AUSTRALIA FOR 12 MONTHS OR MORE!!!! YES! We did sell our house but that's a seperate nest egg/investment for when we decide to settle. We aren’t touching this money and it isn’t funding our trip. I think the stress of using your life savings to travel, would be way to stressful and make it hard to enjoy the trip. Eventually Justin became unhappy at work due to the stress of overtime, shift work and missing out on quality family time. He wasn’t enjoying his job and to be honest, we weren't getting on the best. So we decided to bite the bullet just after our 3rd baby was born and off we went. We hit the road and we have never looked back. 3 kids in tow aged, 3.5, 2 and 6 months old. Some call us CRAZY!!! Yes we are lucky, but we’ve made our own luck! It’s keeping us very busy and we can also enjoy each others company and time together while exploring our great country. Our Big advice - SAVE! It’s amazing what you can do without. Buy only what you need, not what you want!! Look at renting your house out if it covers the mortgage repayments. Or if you’re like us and want to relocate, sell up and go searching for a new place to call home. Start plugging away at it and putting away money every week. We decided that for us to do the initial 12 month trip we would need to have $50,000 to do it. We set up a seperate account where all our saving go into via an automatic transfer each payday. Because Justin had a well paying job, saving for us was really doable as we tried to live pretty minimally. We also paid all our bills upfront for the year so we didn't have any debits throughout our travels. For example, car and caravan insurance, mail redirection, rego and fishing licences. Each individual financial situation is different, but if you want to travel Australia you'll make it work. Start now and put away a little bit each week and we'll be seeing you on the road in no time!! In our opinion, travelling Australia is one of the most AMAZING things you could possibly do as a family!! 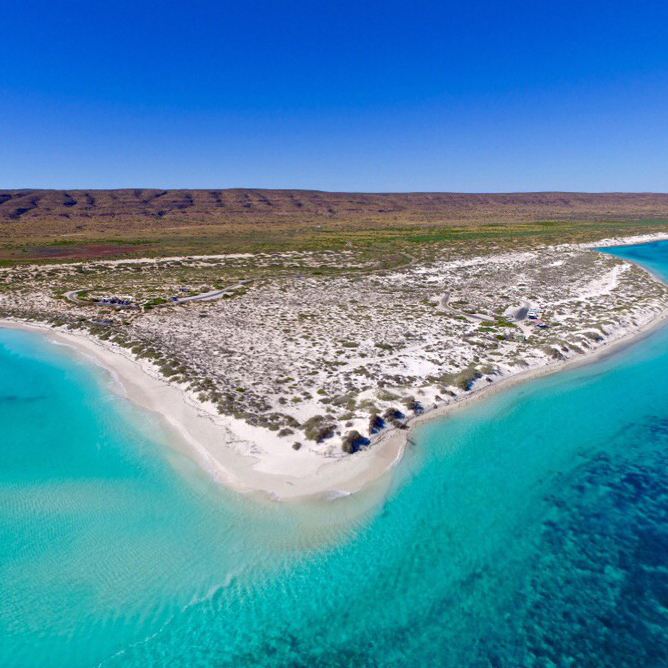 Only an hours drive from Coral Bay on the Ningaloo Reef, WA is a Sweet little spot called Oyster Bridge! It is amazing how much sea life lives in this little lagoon created by an Oyster Bridge! We really hope this provides a good insight into how we fund our travels. Please hit us up through our CONTACT US page if you have any questions at all. We are more than happy to help out where we can.